If you’re in the mood for some tasty treats, you’ll probably need to eat more than these USB flash drives, masquerading as tiny little portions of food. These Mini Plus flash drives are available in a variety of styles, ranging from a relatively nutritious portion of sushi to a plate with one jelly, one glazed, and one chocolate-frosted with sprinkles. Mmmm, tiny USB donuts. Each drive is precisely hand-assembled and painted to look just like its real world edible inspiration, only smaller. 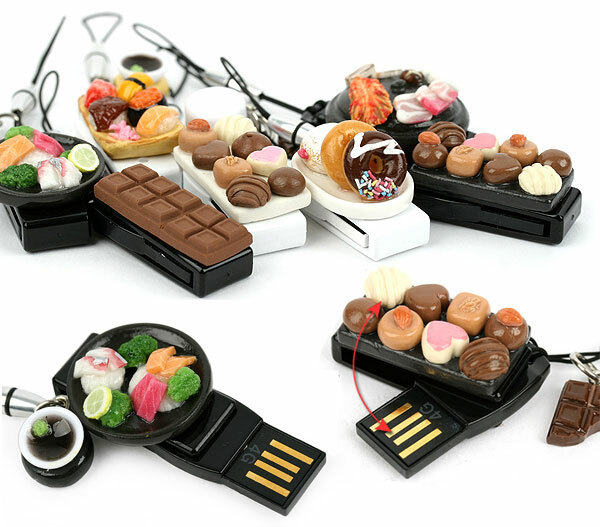 As yummy as these miniature foods may look, you’ll have to stay hungry unless you happen to live in Korea, where you can find these over at the Early Adopter Shop.